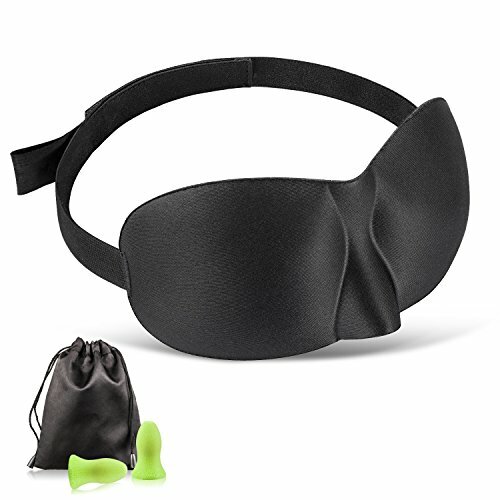 Perfect Shade Function, 3D Comfortable Sleep Mask can prevent light from all directions. This mask will keep your eyes shielded from light while you sleep. Light and Breathable, the latest fabric is softer and comfortable. 100% Top Quality Silk that Will Enhance Your Sleep and Make You and Your Eyes Relaxed. 0 Constriction and High Rebound Elasticity will make you sleep well. It is ideal for insomnia, migraine headaches and dry-eye sufferers, while keeping dry air out. Improve your Sleep Quality, improved your mood, and put you in Enhanced Intel Deeper Sleep that naturally make you sleep deeper every single night.